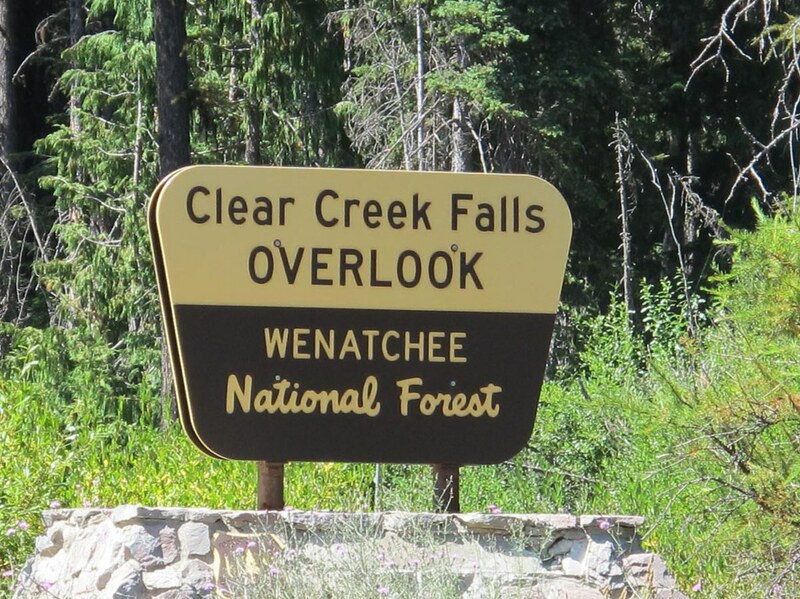 Clear Creek Falls is a point of interest located in the Wenatchee National Forest near Mount Rainier and White Pass, Washington. 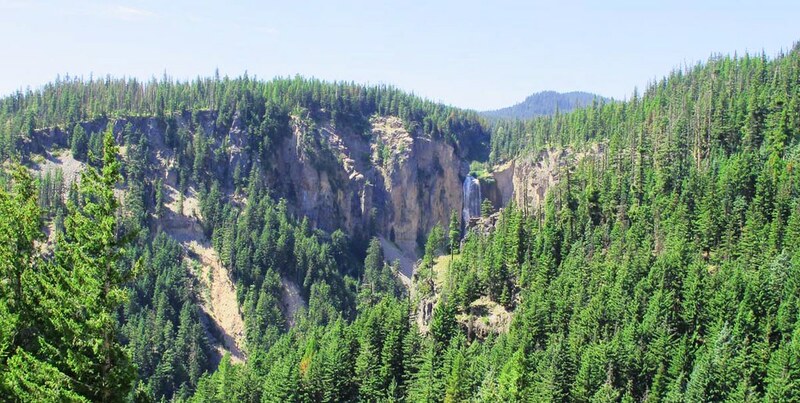 The 228 foot waterfall is quite impressive, though the viewpoint does not off the best of actual views due to the hidden location of the falls. 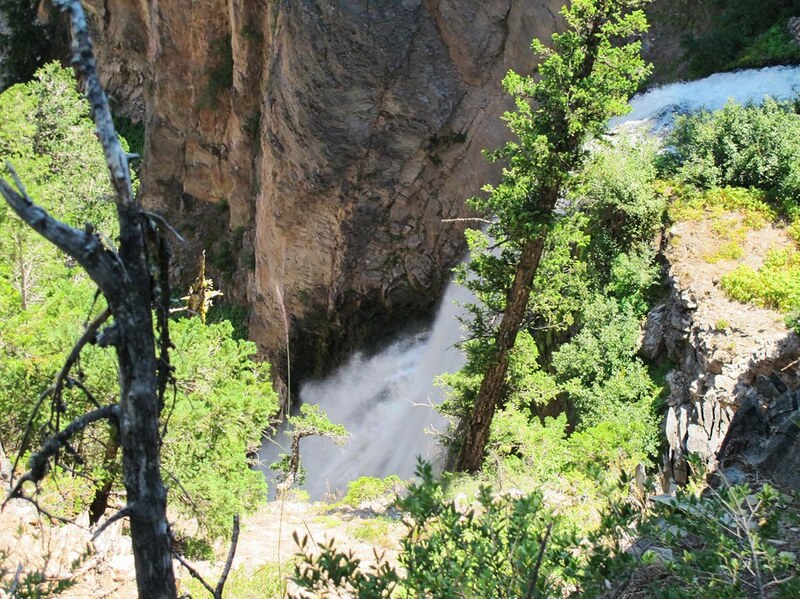 The actual overlook has restrooms (vault toilets), picnic tables, parking and is wheelchair accessible. 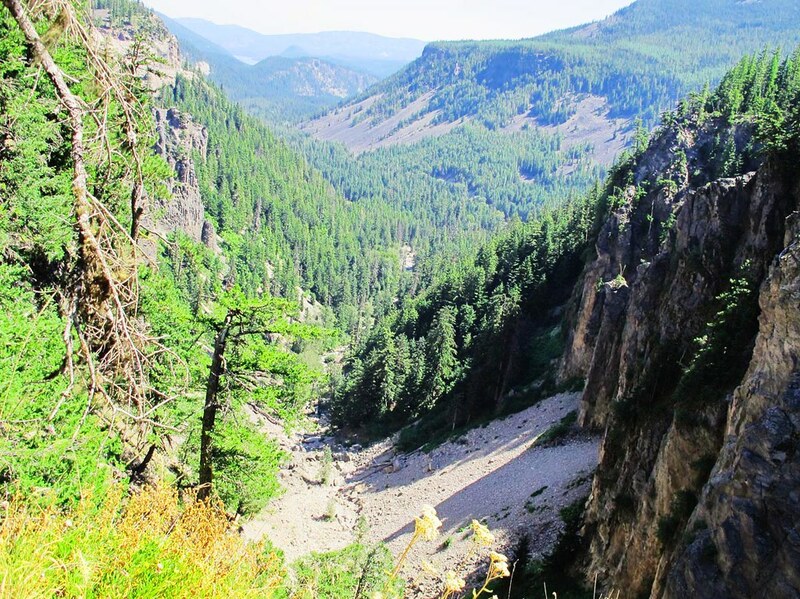 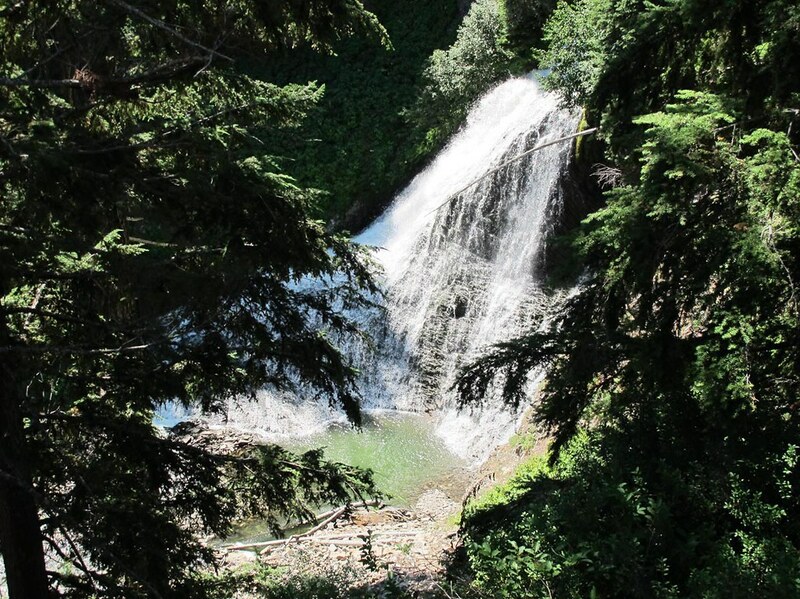 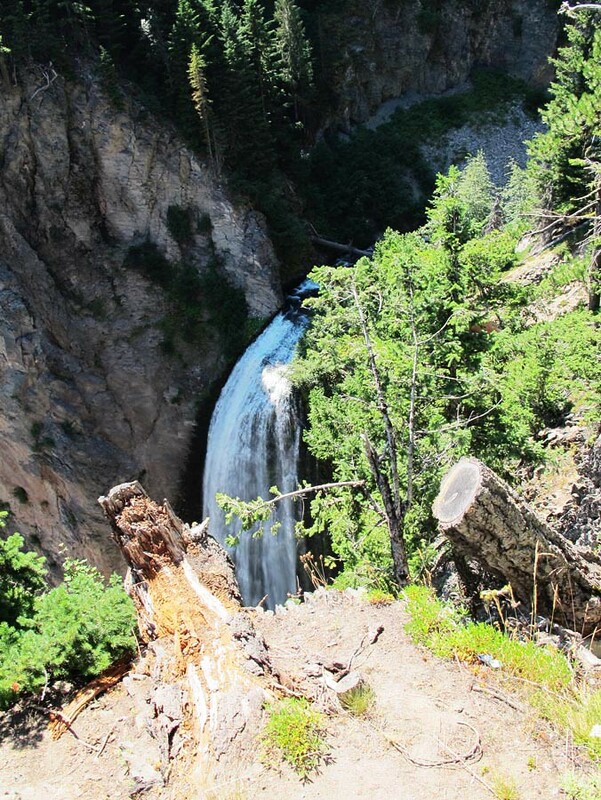 You can see the waterfall with minimal effort but for better views consider hiking just a few minutes downhill. 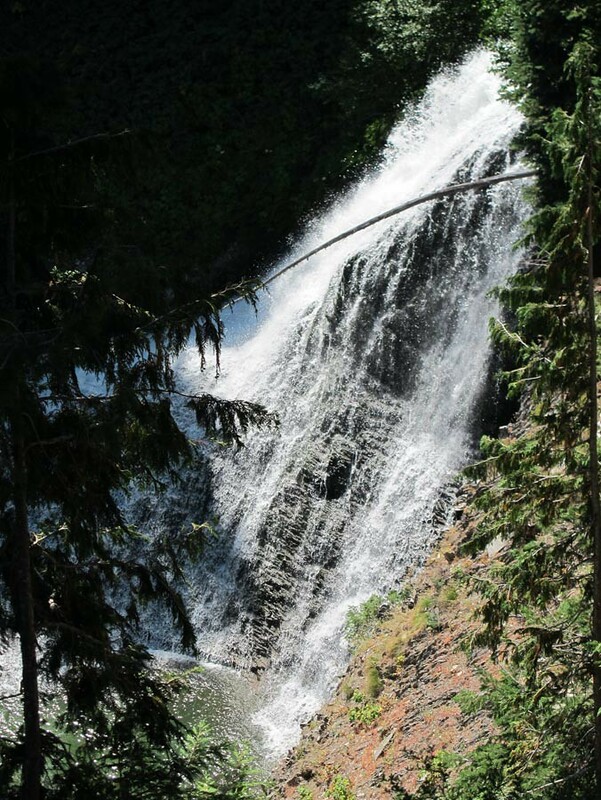 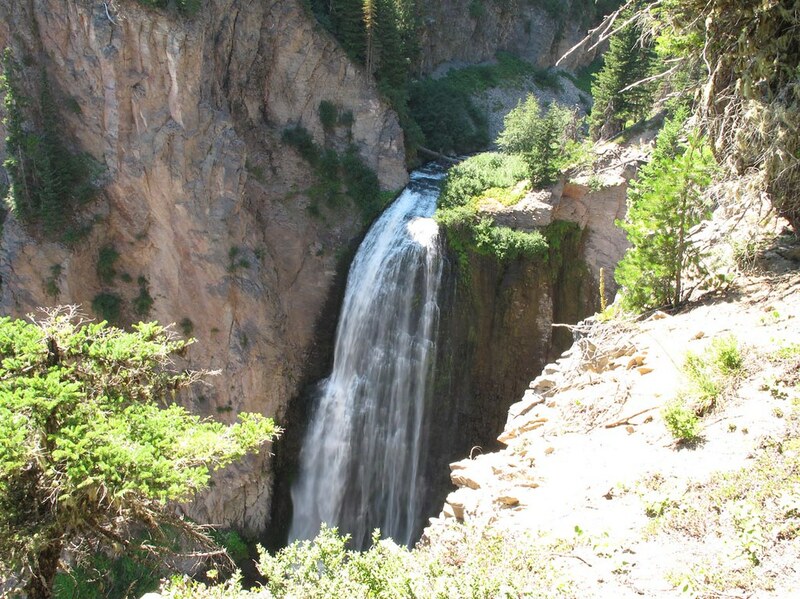 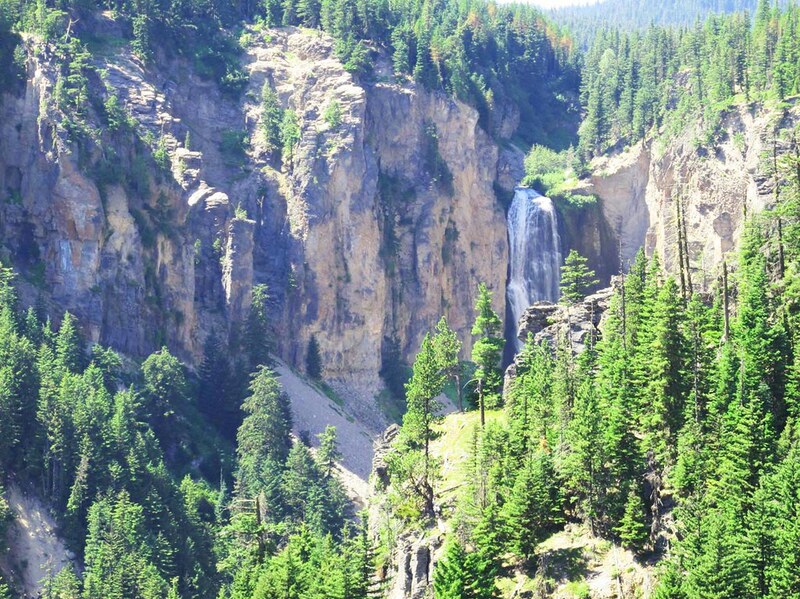 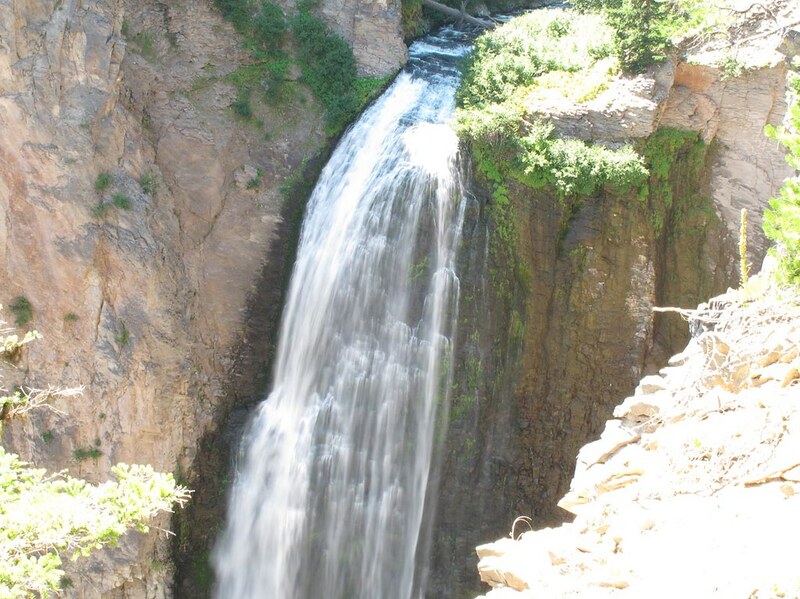 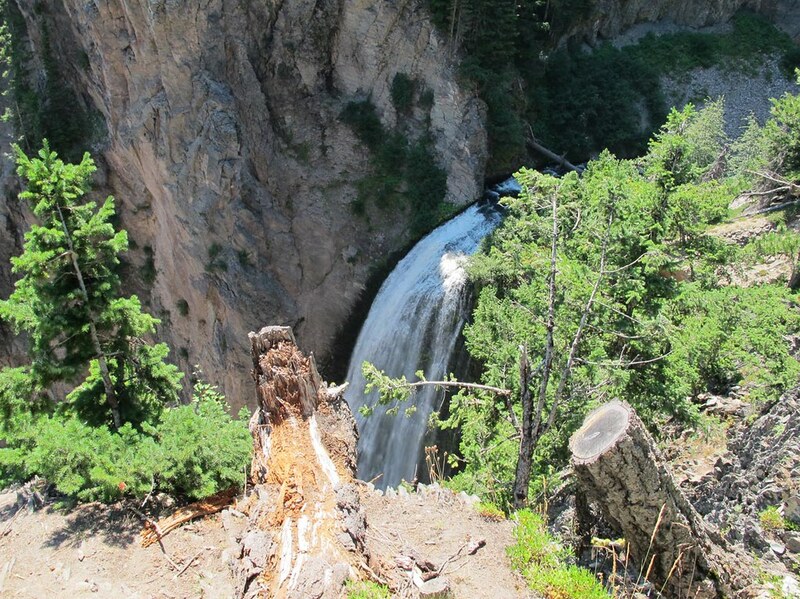 If you are in the vicinity, Clear Creek Falls is definitely worth a stop.